Iraq said Friday executed 13 death row jihadists after Prime Minister Haider al-Abadi vowed a forceful retaliation to calm public anger over the Islamic State group's murder of abducted civilians. While Iraqis have grown accustomed to the atrocities committed by IS, the killing of the eight civilians shocked the nation and doused hopes the jihadists had been defeated. For the first time, the authorities released photographs of the hangings, which came after Abadi on Thursday ordered the "immediate" executions of hundreds of convicted jihadists. 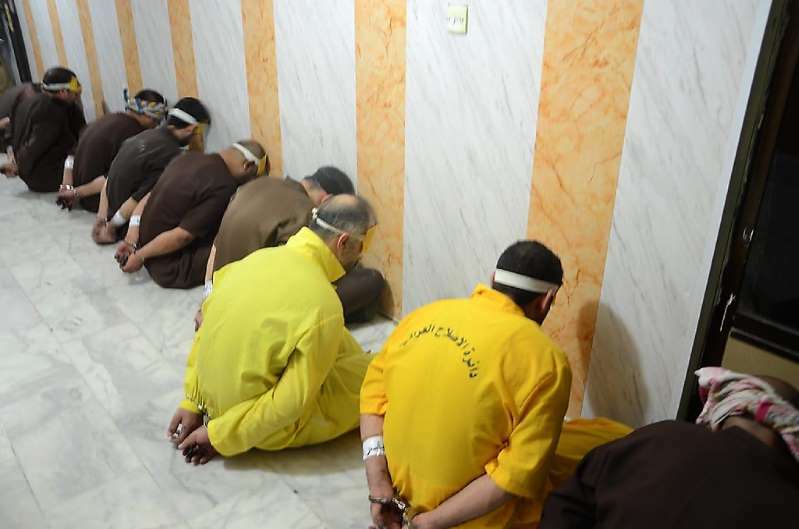 The justice ministry said Friday that the 13 convicts put to death at a prison in southern Iraq "had participated in armed operations with terrorist groups, in kidnappings, bombings and murders of civilians". Abadi's office had earlier announced the execution of 12 convicts whose appeals were exhausted. Abadi, who has faced charges of failing to respond in force to IS, ordered "the immediate punishment of terrorists condemned to death" whose appeals have been exhausted, his office said. A photograph released by the justice ministry showed a group of blindfolded and handcuffed men sitting on the floor waiting to be executed. Another showed several convicts being hanged at the prison in Nasiriyah. Abadi vowed to avenge the deaths of the eight civilians held captive by IS, a day after their bodies were found along a highway north of Baghdad. Six of the abductees -- civilians working in the logistics department of the Hashed al-Shaabi paramilitary force that helped defeat the jihadists -- had appeared in an IS video released on Saturday with badly bruised faces. IS had threatened to execute their captives unless Baghdad released Sunni Muslim women held in its prisons. But the Iraqi military has kept up operations targeting mostly remote desert areas from where jihadists have continued to carry out attacks. Around 20,000 people were arrested in the three-year battle by Iraqi forces to drive out IS, which had seized swathes of western and northern Iraq in 2014. Human Rights Watch last week urged Iraq's judiciary to deal with foreign women and children affiliated with IS on a case-by-case basis instead of slapping them with "one size fits all" sentences. 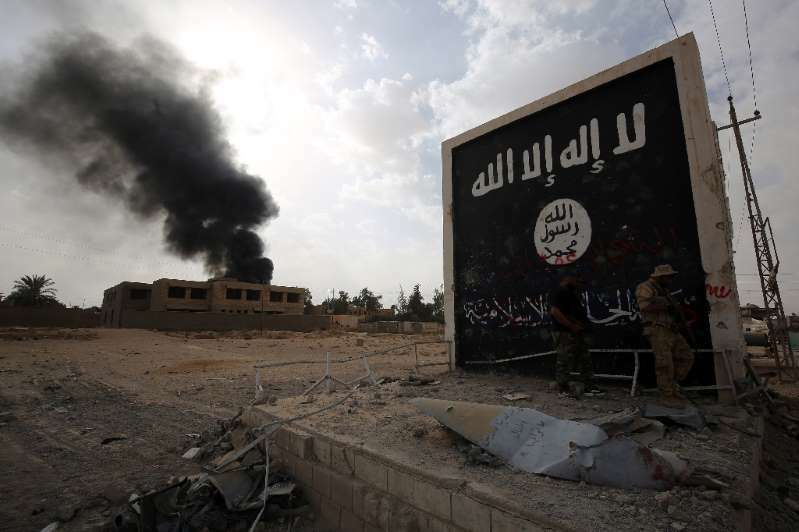 Since January, HRW said Iraq's judiciary had "proceeded with rushed trials against foreigners on charges of illegal entry and membership in or assistance" to the jihadist group. Most foreign women had been sentenced to death or life in prison and children aged nine and above to between five and 15 years in jail for taking part in violent acts, it said.